Update! We've now reached our target so we're going for a stretch target of £950. Thanks to all our donors so far. We are part of a proudly diverse neighbourhood and firmly believe that technology can bring learning to life for our pupils and add huge enjoyment to their school experience. Developing pupils' use of technology will provide exciting learning opportunities for all of our pupils. Our long-term goal is for a full class set of acclaimed Lego WeDo 2.0. This renowned toy has been developed to include fascinating robotic interactivity through electronic connections and intuitive programming. Our initial target is for 4 sets, enough for 8 children to experiment with and lead to greater things! We are hoping in future to scale this up to 15 sets, enough for a whole class to enjoy. These kits will provide pupils the opportunity to design, build and code their own products using Lego. In addition, we will seek to host curriculum Lego clubs for all of our pupils to attend and potentially run an after-school Lego club where pupils are given the opportunities to work with other pupils from different classes on a range of different projects. 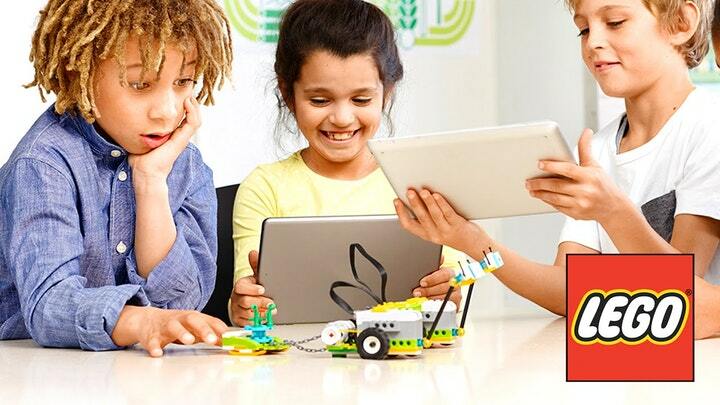 The Lego WeDo kits will bring coding to life beyond the computer screen and enable pupils to recognise how computing works in the real world. It will enhance pupils ability to meet the demands of the Design Technology / Computing curriculum. "We're really excited about the potential of Lego WeDo kits, enabling our children to access coding hands-on, as tactile educational activities," said Ms. Deborah Howard. Now that we've been fortunate enough to raise more than our target, then for every extra £133 we will be able to provide for 2 more children. Our ultimate goal is to provide for a whole class, a total of 15 kits costing a total of £1,996. At first we'll be going for £950 so that half a class could use 7 sets of Lego WeDo. WE WILL RECEIVE £250 FUNDING 'BOOST' FROM ROCKET FUND IF WE are among the first 20 projects to hit £250 in december! Select this reward if you just want to receive an online thank you message. Letter of thanks to be sent from the school; mention in the school's weekly newsletter sent to families; thanks to be published via school's Twitter feed. Letter of thanks from pupils and staff; photograph of pupils using technology to be sent with permission to be used in marketing publications; thanks to be shared via school's Twitter account and newsletter.